NEW YORK, September 14 – FGI Worldwide Executive Director, Sami Altaher, has been invited to moderate a panel on credit insurance at the CFA’s Cross-Border Lending Summit taking place Wednesday, September 27, 2017 in New York City. This must-attend event will feature key players and practitioners in the international asset-based lending space and will discuss best practices and current market trends along with other topical issues of interest to anyone involved in cross-border ABL. Altaher’s panel titled “Credit Insurance: Should I do it?” will focus on best practices for structuring lending oriented policies, compliance and reporting issues to be aware of, and policy monitoring techniques to assure successful claim payments. Joining Mr. Altaher as panelists are Larry Jasper of JPMorgan Chase Bank, Craig White of Euler Hermes and Chantal Wittman of MB Financial. 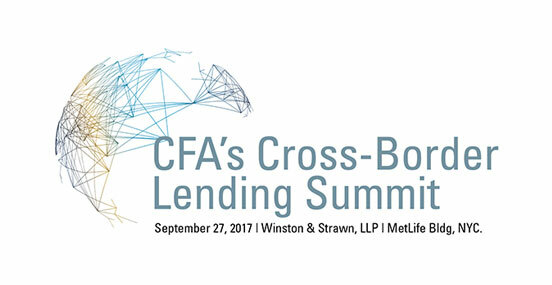 To learn more about the CFA’s Cross-Border Lending Summit, click here.